I have to begin this blog post by saying that Andean Mist is my new favorite yarn. It is so soft and fluffy without shedding all over you! When working on booklet #347, I designed Holman-Hunt – a large, rectangular shawl with an easy-to-memorize pattern stitch repeat. For those of you who are intimidated by charts, it is lace pattern with written instructions! I love this shawl’s volume and warmth. I would totally wrap the shawl around my neck and head to feel cozy and warm. Follow along as I demonstrate this easy lace pattern. 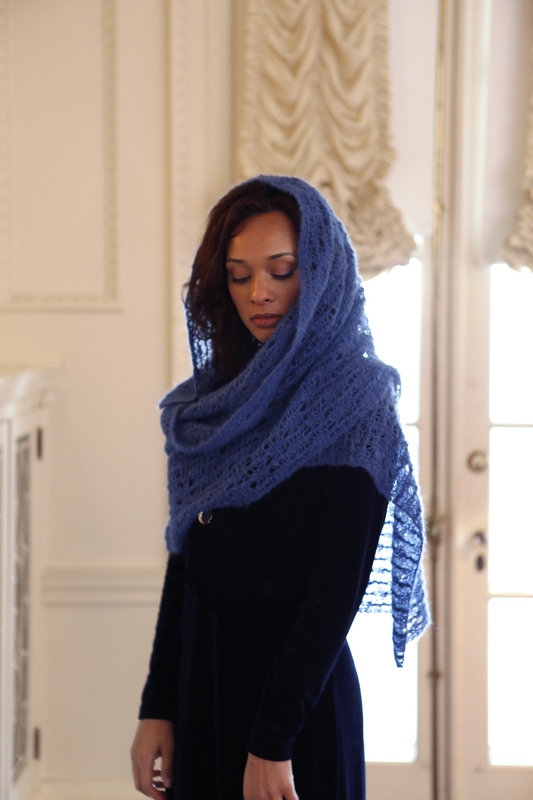 I hope this inspires you to knit with Andean Mist and make a large shawl like this one. Previous article Amy’s Thread: Swatch like you mean it! Next article Cape Vertigo Giveaway!